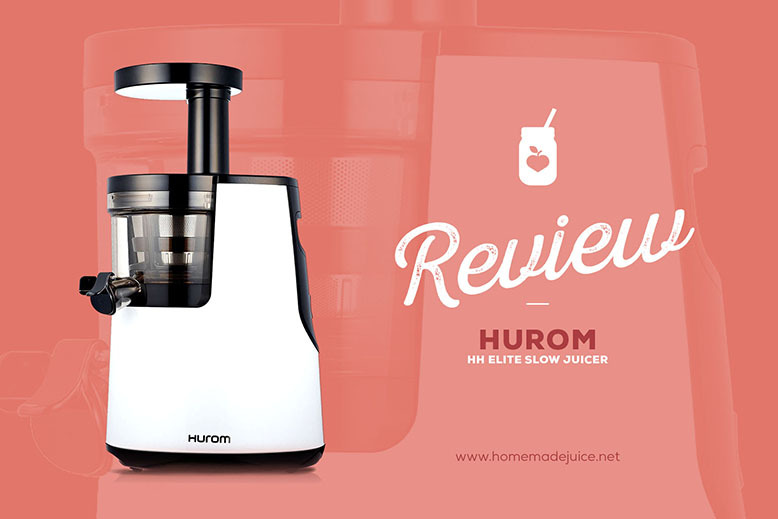 The Hurom Elite HH is a slow juicer which has been around for quite a while now. The HH is an oldie, but definitely a goodie — so much so that Hurom is still producing and selling it to date, which says a lot about the classic HH series. 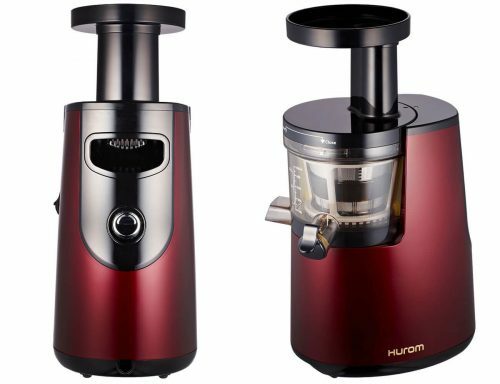 One of Hurom’s best selling model, the Hurom Slow Juicer HH Elite has even won international awards like IDEA, IF and Red Dot. Go Hurom! 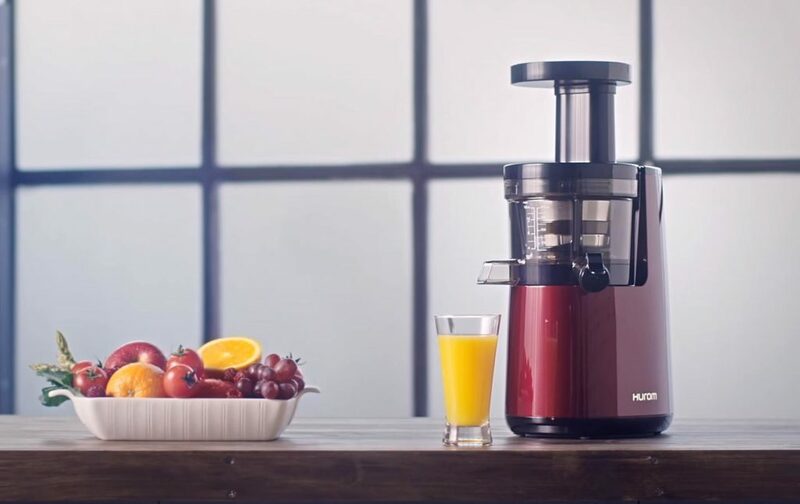 This masticating juicer has a sleek design and adopts Hurom’s 2nd generation patented Slow Squeezing Technology ™, which extracts 35% more juice than regular high-speed juicers. 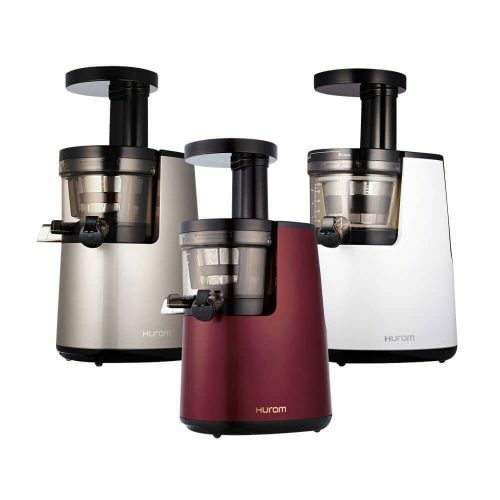 Hurom boasts that this juicer comes with a double-edged auger, which produces more juice and less waste than other older Hurom models. The pulp comes out nice and dry, which is a good indicator of an exceptional yield. 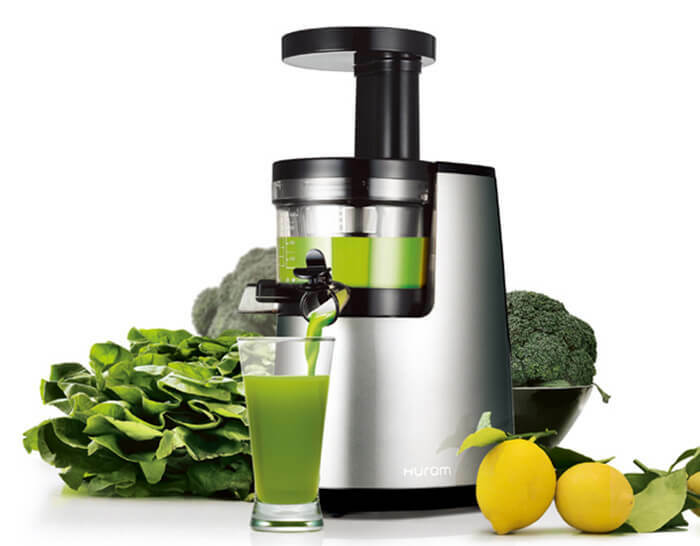 This Hurom juicer uses a 150-watt motor that will crush and squeeze the fruit and vegetables at a slow rotational speed of 43rpm. The slow process helps to retain the nutrients and enzymes in the juice. The motor comes with an internal cooling system to prevent it from heating. Also, besides being efficient, the Hurom HH is also very silent, so you don’t need to worry about scaring your toddler when switching it on. 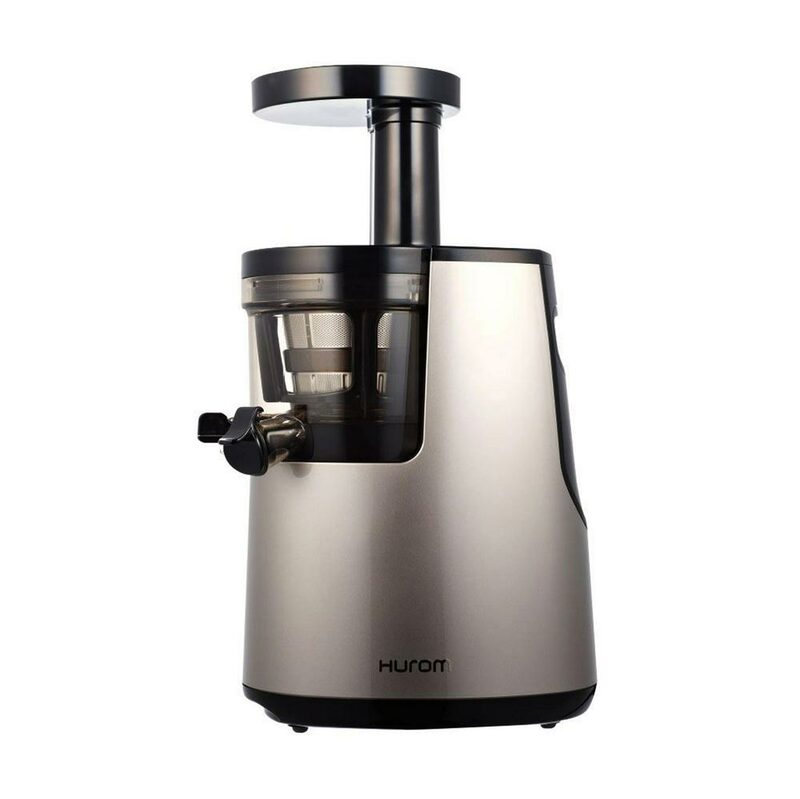 This Hurom slow juicer model has a regular small feeder — which means you’ll need to spend a bit more time cutting fruits and vegetables into smaller pieces than you would with some of the newer wide-chute juicers. The next feature got me really excited when I first heard about it. The Hurom HH comes with a pulp-control function, and I think it’s one of the coolest features ever. 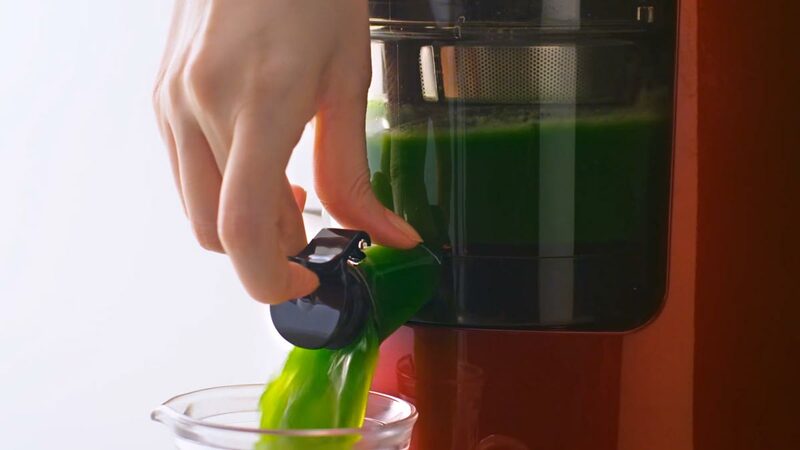 By adjusting the lever, you can control the amount of pulp that goes into your juice. So you can choose anywhere between a smooth, pulp-free juice and a pulpier, almost smoothie-like, juice. 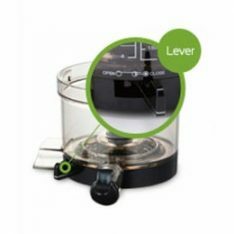 The Hurom HH comes with a magnetic bowl, which can be easily attached to and removed from the base, also thanks to the easy-grip handle. 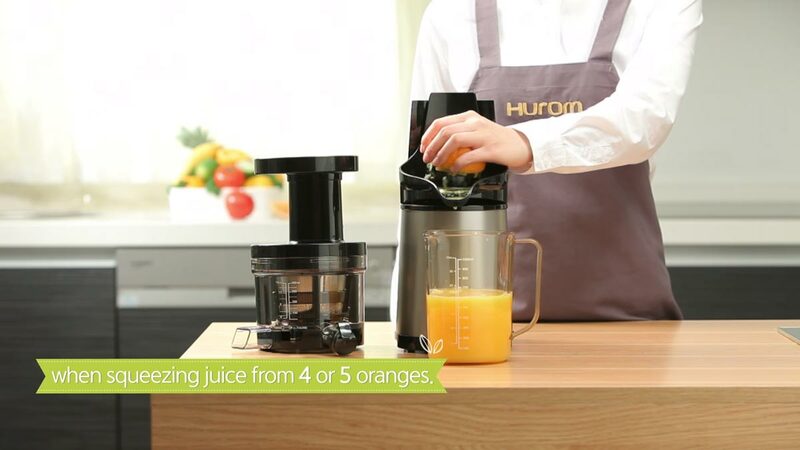 Like most juicers, this Hurom is not dishwasher safe, but it comes with brushes that have been designed to make cleaning easier and faster. Hurom offers a 10-year warranty on the motor and a 2-year warranty on all parts. If for some reason you need to get in touch with customer service, you might have to be a bit patient, as it can be a tad slow sometimes. The HH series won three international awards (IDEA, iF, and Red Dot). It’s a Hurom best-seller and it was featured in major international newspapers like The Wall Street Journal and The New York Times. 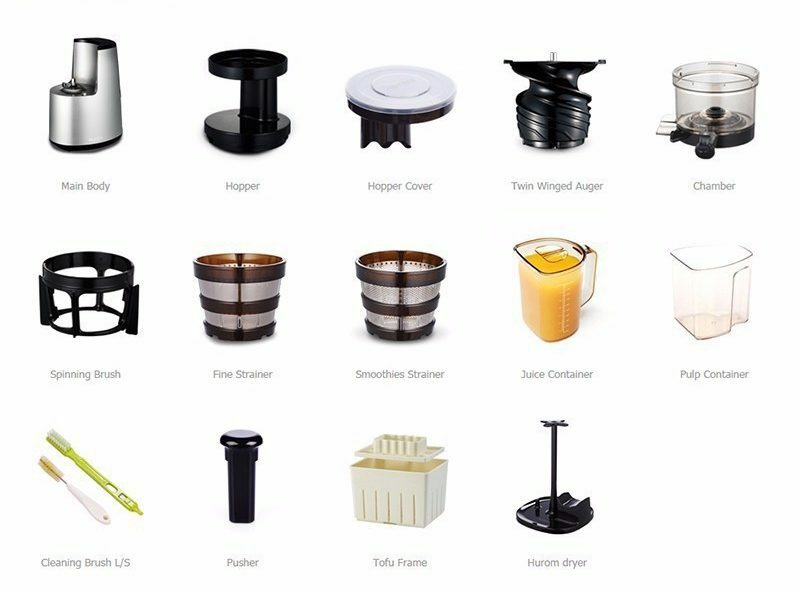 So, if you are looking to buy your first juicer, or it’s time for an upgrade, this might be the right one for you. This juicer is reasonably priced, and it not only gets the job done but also comes with great features. Certainly a juicer worthy of the most discerning juicing enthusiasts.